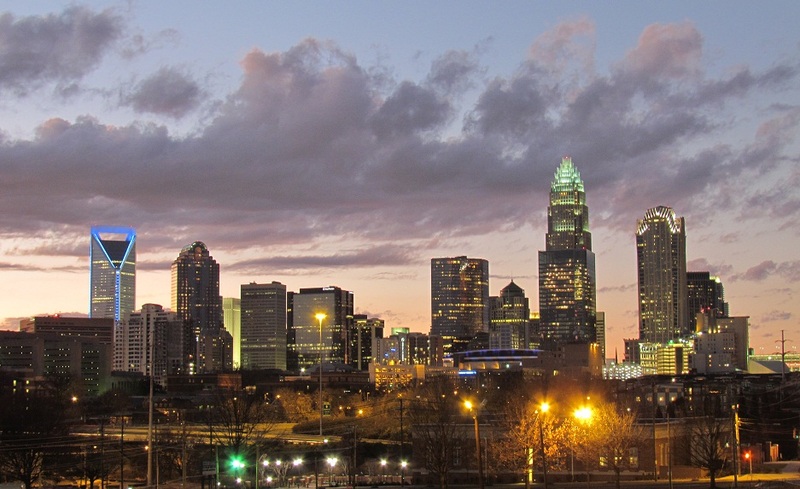 The Queen City a city where Olympic-caliber adventurers rub elbows with culture mavens. A city that captivates both NASCAR heroes and finance leaders. And a city where Northern newcomers exchange smiles on the street with Carolina natives. Visitors are sure to be just as captivated too. So whether you’re visiting Charlotte on the feted February 14th or are an NC resident, there’s plenty to choose from for romantic rendezvous. Museums showcasing the world’s wonders, mixed-use developments touting dining and nightlife for every persuasion, quality hotel brands, and attractions like the NASCAR Hall of Fame (coming soon) are among some of the recent additions sure to enrich visitors’ experiences. All combined with Charlotte’s not-to-be-missed cultural, entertainment, sporting, and historical mainstays make it a city like no other. So choose from a wide variety of inventive activities here this Valentines Day. And whatever you do, don’t forget the Valentines Day flower bouquets. Candlelit dinners, breathtaking city views, carriage rides through historic neighborhoods…There’s plenty of aphrodisiacs in the Queen City to ignite a romantic spark. Add a new dimension to your love life and your next adventure with an awesome helicopter charter. What better way to enjoy the nation’s hottest attractions than on an exclusive helicopter tour or charter? Bask in each other’s company from miles in the air and take in the sights! Located in the trendy historic South End district of Charlotte, Eden Therapy is an escape from everyday stress. A place where simplicity meets relaxation, Eden will soon become you and your lover’s haven for peace and tranquility. Join together in a hot stone or therapeutic massage for two! This also works for set of girlfriends! Rock, jazz, punk, reggae, hip-hop…No matter what’s on your playlist, the area’s variety of venues, which range from neighborhood watering holes to 20,000 seat arenas, attract musical talent with sounds that satisfy. There’s bound to be many shows playing this Valentines so check out CharlottesGotALot for times and playbills. Whether you tour an historic area or simply skirt around downtown, there’s much to see in any area by carriage in Charlotte. Call Adams Stage Lines for more information and for pricing at (704) 537-5556. This Valentines Day, unlock your perfect match at BAR Charlotte. Whether you’re looking to find a match or just meet new people, this singles even at BAR Charlotte is thee place to be on February 14th! The “Lock and Key” party is the hottest event, and will offer food, drink, dancing and music for all. Ladies get locks and guys get keys: find your match, win prizes and indulge in complimentary refreshments! Enter to win tons of prizes! Tickets for $10 at the door!